Kareem Abdul-Jabbar is without a doubt the greatest center in Los Angeles Lakers history. Over the course of his illustrious 20-year career, he racked up six titles, six MVP awards, and the notable distinction of being the NBA’s all-time leading scorer. Seeing as he accomplished most of those things while adorned in purple and gold, his place in Laker lore has been and still is completely and totally secure. Unfortunately, Kareem himself is very, very insecure. It was inevitable that he would get his own statue outside Staples. In. Evitable. 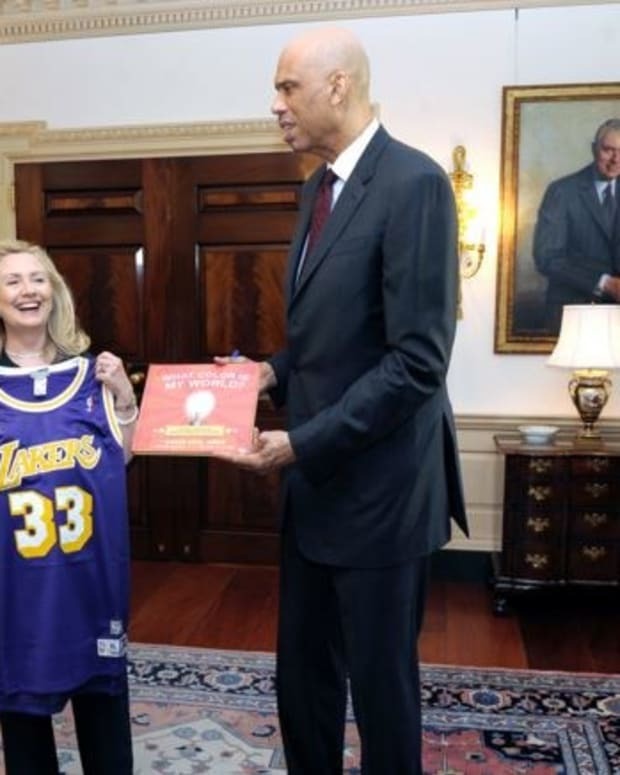 And yet, despite that fact, Abdul-Jabbar went on an inexplicable public campaign last year during which he criticized the Lakers for not giving him a statue sooner. He pointed out that Magic Johnson and Chick Hearn had already gotten theirs, and absolutely shredded everyone in his general proximity for not giving him one. 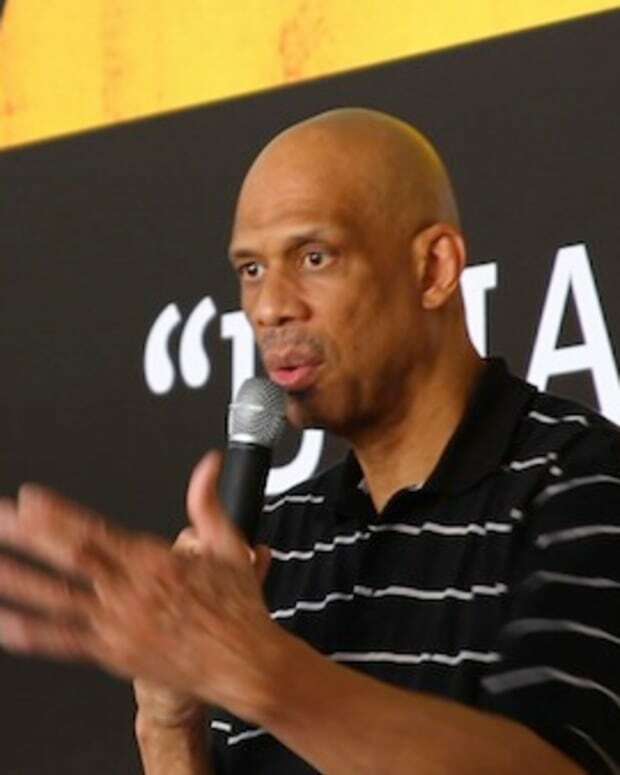 The Lakers plan to unveil a statue of Hall of Fame center Kareem Abdul-Jabbar outside Staples Center during the 2012-13 season, The Times has learned. No date for unveiling the statue has been finalized. So there you go. Kareem is getting a statue. Shocker. Now, something that should be a celebratory event is tainted by the whining and crying he did for no reason. Then again, if he didn’t do stuff awkwardly and clumsily, Cap probably wouldn’t do anything at all.